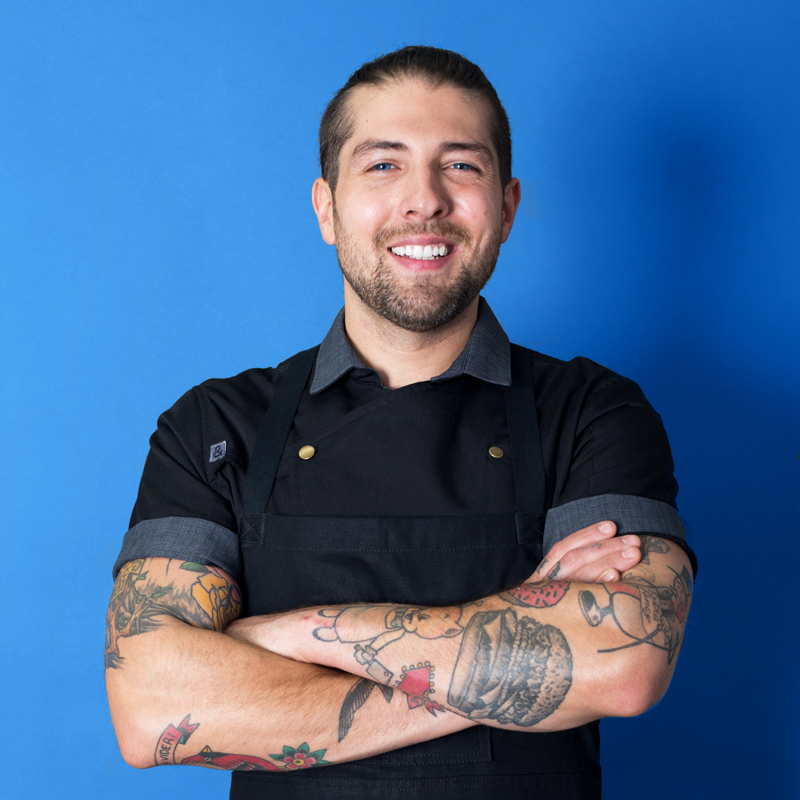 Chef and partner of Preux & Proper and South City Fried Chicken in downtown Los Angeles, Chef Sammy Monsour has received acknowledgment and acclaim from the James Beard Foundation, Eater, American Culinary Federation and Zagat. He is a third generation chef and graduate of the Culinary Institute of America, with roots stemming from his parent’s neighborhood joint in Chapel Hill, North Carolina. Chef Sammy’s advocacy toward sustainability has positioned him as the L.A. Locals Leader for Chefs Collaborative and a proud member of the Monterey Bay Aquarium’s Blue Ribbon Task Force. Chef Sammy has also appeared on Viceland’s The Untitled Action Bronson Show, Travel Channel’s Food Paradise and been the victor on several of Food Network’s popular reality cooking shows, including Alton Brown’s Cutthroat Kitchen.